The Style Socialite - A Fashion/Society Blog : I Love My Chloé Eau de Parfum! I Love My Chloé Eau de Parfum! I’m completely in love with my Chloé perfume. It’s officially my every day scent and I won’t leave the house without putting some on. I first discovered this amazing perfume when a friend of mine was wearing it and told me the name. The next day I rushed to Lord & Taylor to pick some up. I ended up buying two of the scents which were the original Chloé and Love, Chloé. My absolute favorite out of the two is the original Chloé which has the most luxurious and romantic smell that lasts all day. 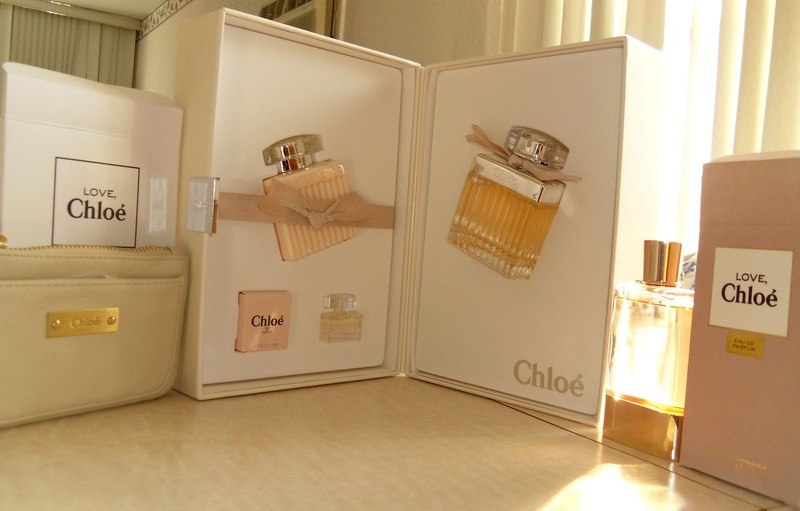 The original Chloé came in a holiday set which also included body lotion and a mini version of the perfume. As a free gift with my purchase I was also given a mini Chloé wallet which I adore.